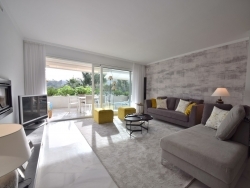 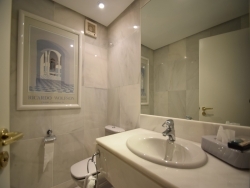 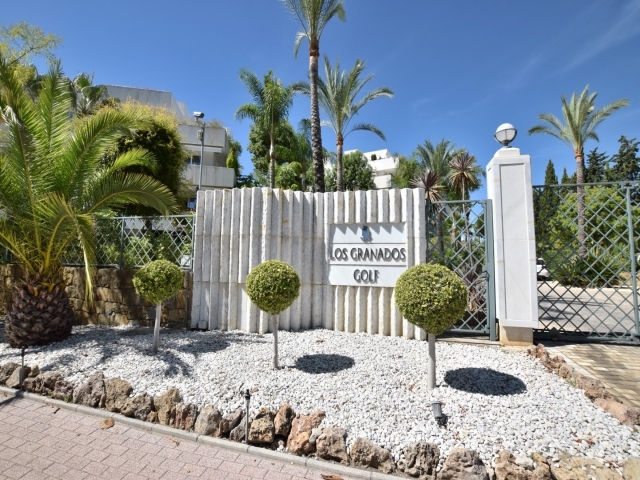 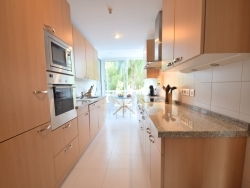 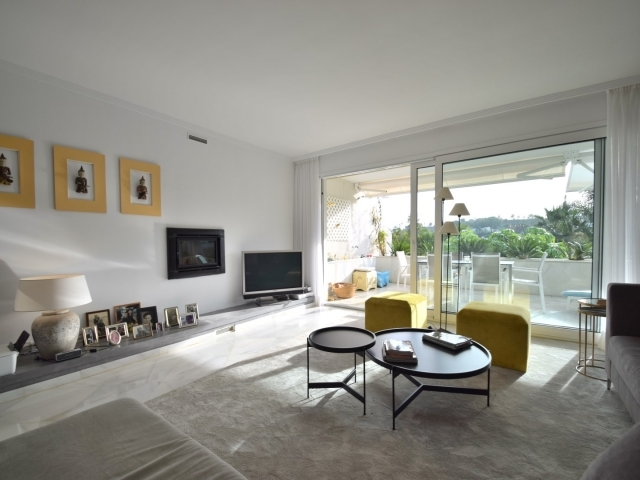 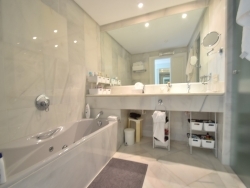 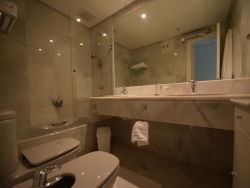 Fabulous three bedroom first floor apartment for sale in Los Granados Golf. The gated complex is situated in the heart of the Nueva Andalucía Golf Valley, close to a range of renowned golf courses including Los Naranjos, Las Brisas and Aloha. 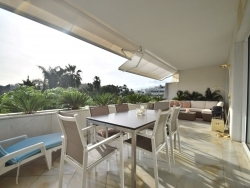 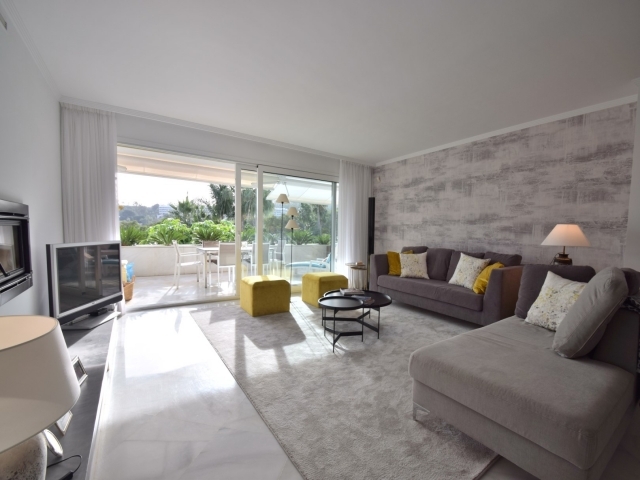 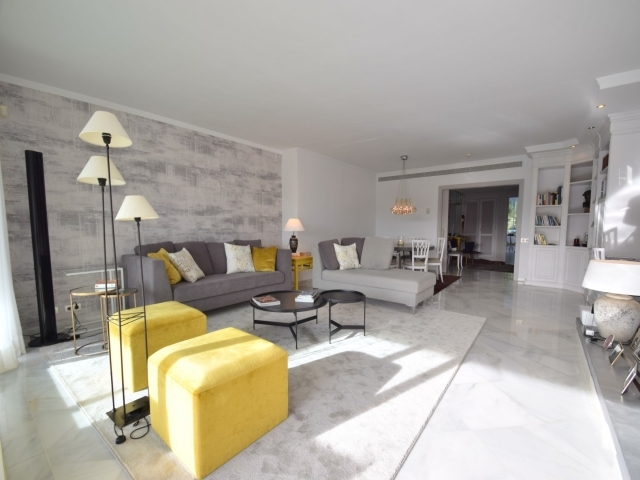 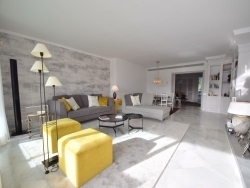 The location is well-situated for accessing local amenities too, with the luxury harbour of Puerto Banús and surrounding beaches just a short drive away. 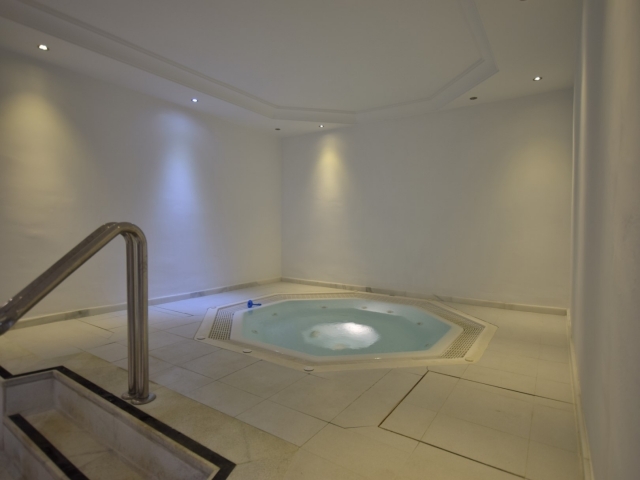 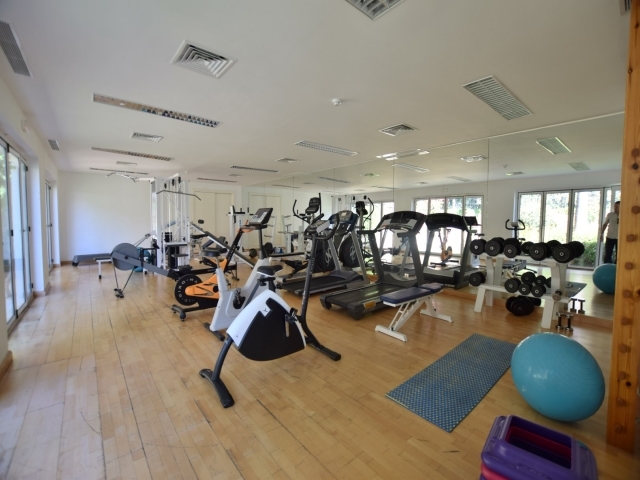 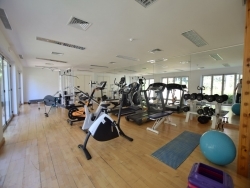 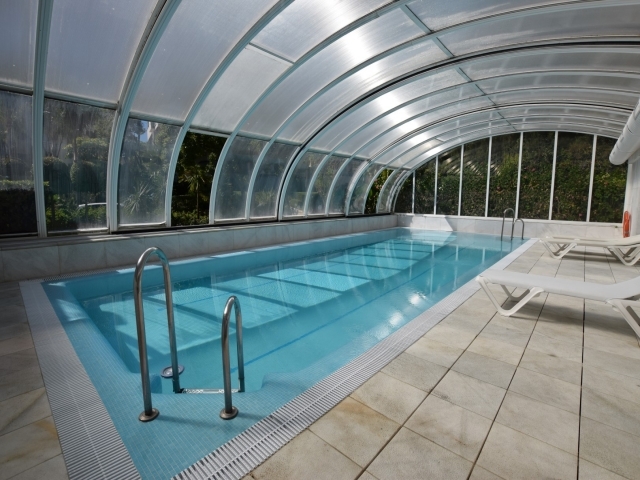 Los Granados Golf offers a wealth of on-site facilities, including an indoor heated pool, Jacuzzi and gym. 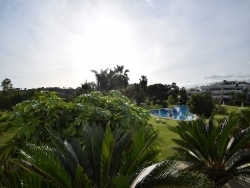 The spacious apartment is west-facing with views overlooking the communal gardens and pool. 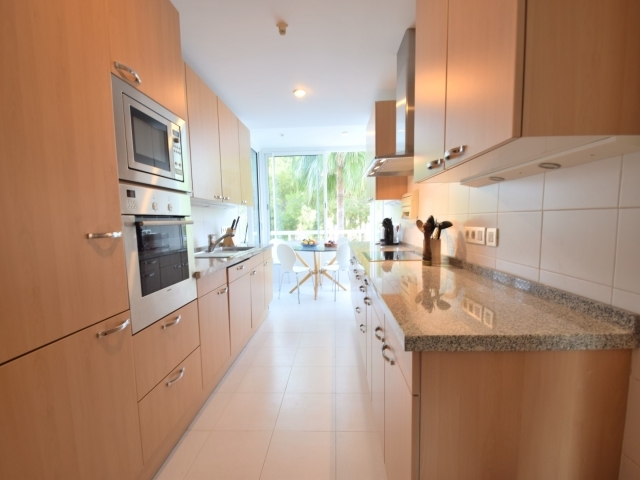 Small entrance hall; to the right is the bright and modern fully fitted kitchen with breakfast area and separate utility room. 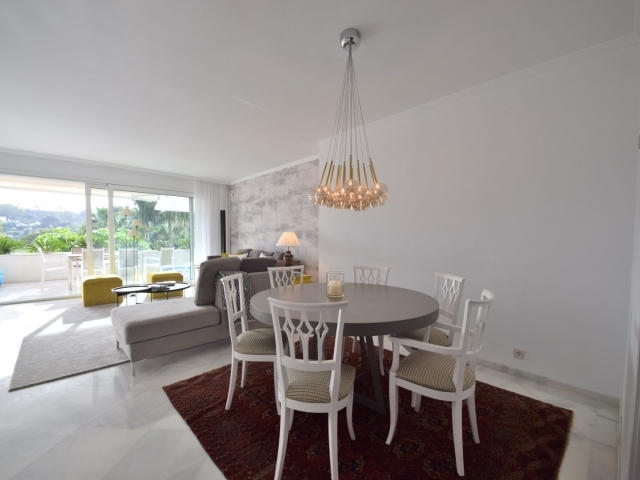 To the left from the entrance you will find the living and dining area with dining space for 6 persons and a comfortable sofa area with large sliding doors providing plenty of light and direct access out to the terrace. Straight ahead as you enter the apartment, a corridor offers two en-suite bedrooms on the right-hand side; one with two single beds and the other with a double bed. One of these bedrooms have access out to a small terrace. 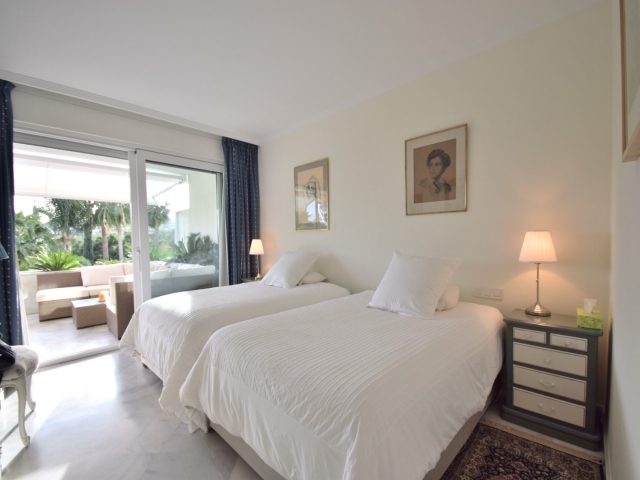 On the left-hand side is the impressive master suite with access out to the main terrace. 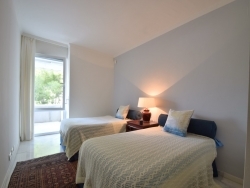 The master bedroom currently has two beds. 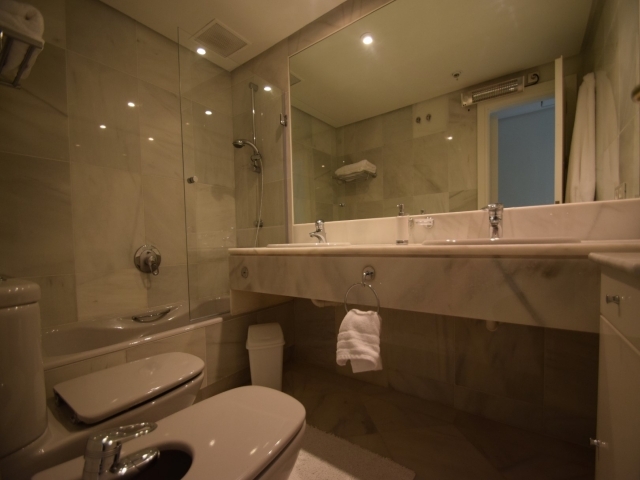 There is also a guest W/C. 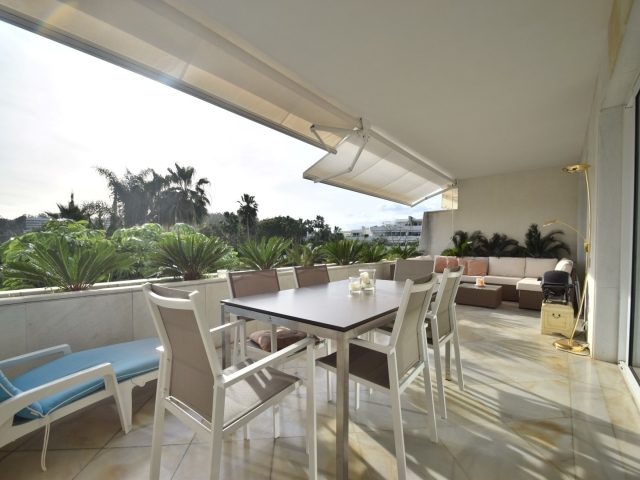 The terrace has ample space to dine and relax with a dining table for 6 persons, BBQ and sofa area. This is a beautiful, spacious apartment with good views and a lovely modern and cosy ambience; perfect for families, or golf-lovers, looking for a holiday base set back from the main centre but with all amenities within easy reach.